Each quarter your WMA Board meets face to face. Board members filled the December 13 meeting with enthusiasm and energy as they reported on progress and planned events and the annual meeting. As we worked through the agenda we marveled at how much is being accomplished, yet, there is much more to be done beyond the time Board members are able to contribute. WMA needs members to volunteer for three open Board positions and for committee work. Members need not be Board members to participate in committees. There’s plenty to do! 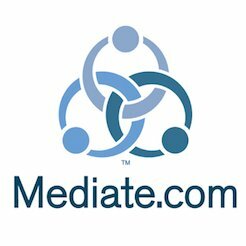 WMA is unique in offering professional and volunteer mediators an association to promote mediation and to connect with each other. It’s also unique in relying on volunteers to achieve its goals. While we have a part time staff member to manage day-to-day administration and certification records, the rest of what gets done is with time committed from busy lives of volunteers. The upside of volunteers is the passion they bring for mediation and the WMA, while the challenge is their time is limited with WMA taking up only a corner of their busy lives. We sometimes get asked the “What’s WMA done for me?” question. While there are lots of answers, that may be the wrong question. Putting a bit of a JFK spin on it, the right question is “What’ve I done for WMA and mediation in my State?” The idea of an association is to work together to promote mediation and mediators. Fortunately, there are plenty of opportunities to advance our cause.